Amyris essential oil is refined from the sultry evergreen Amyris wood. Amyris oil is loaded with positive effects that are sure to make your body more active and enhance the processing of the mind. Fortunately, Amyris trees, from which the oil is derived, can be found across the world. Amyris relaxes and calms the mind, helping to alleviate stress and anxiety. It is also said to uplift the mood and have an aphrodisiac-like effect when used in small amounts in a blend. Learn more about Amyris Essential Oil or find a great deal on the best selling Amyris Oil from the items below! Silky Scents EO154-1OZ-30ML 100 Percent Pure Therapeutic Grade West Indian Sandalwood Amyris Essential Oil - 30 ml. Amyris Essential Oil. 5 ml. 100% Pure, Undiluted, Therapeutic Grade. (Sometime referred to as West Indian Sandalwod oil.) Botanical Name: Amyris balsamifera - Method of Extraction: Steam distillation - Plant Part: Seasoned wood - Note Classification: Base - Aroma: Soft, woody, warm and musty - Country of Origin: West Indies Although commonly referred to as West Indian Sandalwood oil, this oil is not a true replacement for Sandalwood essential oil. Amyris oil is extracted from wood chip. Because of the sweet and smoky aroma of this oil it is used as a scent fixative in perfumes and in soaps. It is also commonly believed that the oil has sedative properties and assists during meditation. Aromatic Description: Sweet and smoky and is used as a scent fixative in perfumes and in soaps. Perfumery Note: Middle/Base Aromatherapy Properties: (Uses) This essential oil is commonly referred to as West Indian Sandalwood oil; however, it is not a true replacement for Sandalwood essential oil. You will find among its properties when used in aromatherapy: Antiseptic, balsamic, sedative, calming and an aid to stress relief. Many believe that it has sedative properties and assists during meditation. Blends well with: Geranium, Pine White, Spruce Hemlock, Cedarwood Virginia, Myrrh (India), Galbanum , Frankincense, Cypress, Clove Leaf, Anise, Lemon, Orange Sweet, Cistus, Rose Absolute (Morocco), and Benzoin. History: Amyris essential oil serves as an inexpensive alternative to Sandalwood oil. Originally cultivated primarily in Haiti where it was known as 'candle wood' and used as a torch by locals due to the tree's high oil content. The botanical origin of the tree yielding this oil remained obscure until 1886 when striking differences between this and true Sandalwood Mysore were revealed by microscopic examination of the leaves. Silky Scents EO154-5ML 100 Percent Pure Therapeutic Grade West Indian Sandalwood Amyris Essential Oil - 5 ml. Aromatic Description: Sweet and smoky and is used as a scent fixative in perfumes and in soaps. Perfumery Note: Middle/Base Aromatherapy Properties: (Uses) This essential oil is commonly referred to as West Indian Sandalwood oil; however it is not a true replacement for Sandalwood essential oil. You will find among its properties when used in aromatherapy: Antiseptic balsamic sedative calming and an aid to stress relief. Many believe that it has sedative properties and assists during meditation. Blends well with: Geranium Pine White Spruce Hemlock Cedarwood Virginia Myrrh (India) Galbanum Frankincense Cypress Clove Leaf Anise Lemon Orange Sweet Cistus Rose Absolute (Morocco) and Benzoin. History: Amyris essential oil serves as an inexpensive alternative to Sandalwood oil. Originally cultivated primarily in Haiti where it was known as 'candle wood' and used as a torch by locals due to the tree's high oil content. The botanical origin of the tree yielding this oil remained obscure until 1886 when striking differences between this and true Sandalwood Mysore were revealed by microscopic examination of the leaves. Features100% Pure Essential Oil Raw Material - Amyris Botanical Name - Amyris Balsamifera Therapeutic Grade Capacity - 5 ml. 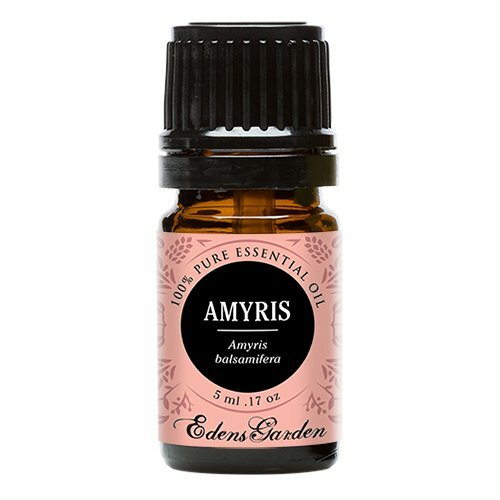 Silky Scents EO154-15ML 100 Percent Pure Therapeutic Grade West Indian Sandalwood Amyris Essential Oil - 15 ml. Aromatic Description: Sweet and smoky and is used as a scent fixative in perfumes and in soaps. Perfumery Note: Middle/Base Aromatherapy Properties: (Uses) This essential oil is commonly referred to as West Indian Sandalwood oil; however it is not a true replacement for Sandalwood essential oil. You will find among its properties when used in aromatherapy: Antiseptic balsamic sedative calming and an aid to stress relief. Many believe that it has sedative properties and assists during meditation. Blends well with: Geranium Pine White Spruce Hemlock Cedarwood Virginia Myrrh (India) Galbanum Frankincense Cypress Clove Leaf Anise Lemon Orange Sweet Cistus Rose Absolute (Morocco) and Benzoin. History: Amyris essential oil serves as an inexpensive alternative to Sandalwood oil. Originally cultivated primarily in Haiti where it was known as 'candle wood' and used as a torch by locals due to the tree's high oil content. The botanical origin of the tree yielding this oil remained obscure until 1886 when striking differences between this and true Sandalwood Mysore were revealed by microscopic examination of the leaves. Features100% Pure Essential Oil Raw Material - Amyris Botanical Name - Amyris Balsamifera Therapeutic Grade Capacity - 15 ml. Botanical Name: Amyris balsamifera Aroma: Soft, woody, warm, musty Extraction Method: Steam Distilled Origin: Haiti Amyris essential oil commonly referred to as West Indian Sandalwood oil, the Botanical origin of the tree yielding this oil remained obscure until 1886. The main country of origin today is Haiti, where the oil is obtained by steam distillation from broken up wood & branches. The locals call it 'candle wood' because of its high oil content; it burns like a candle. It is uses as a torch by fishermen and traders. It also makes excellent furniture wood. The production of this oil has dropped with the passing of time due to adverse climatic conditions in Haiti. Amyris essential oil has been used for wound washes, influenza, childbirth recovery, diarrhea, used also as a room fragrance or mood fragrance, as a cheaper alternative to genuine Sandalwood. Used as a fragrance, fixative or a component of soap fragrance. Limited application in flavoring work, but some used in liquors Amyris essential oil, Amyris balsamifera, historical uses consist of wound wash, influenza, childbirth recovery, diarrhea, used as a room fragrance or mood fragrance, as a cheaper alternative to genuine Sandalwood. Used as a fragrance, fixative or a component of soap fragrance. Limited application in flavoring work, especially liqueurs. Silky Scents EO154-10ML 100 Percent Pure Therapeutic Grade West Indian Sandalwood Amyris Essential Oil - 10 ml. Aromatic Description: Sweet and smoky and is used as a scent fixative in perfumes and in soaps. Perfumery Note: Middle/Base Aromatherapy Properties: (Uses) This essential oil is commonly referred to as West Indian Sandalwood oil; however it is not a true replacement for Sandalwood essential oil. You will find among its properties when used in aromatherapy: Antiseptic balsamic sedative calming and an aid to stress relief. Many believe that it has sedative properties and assists during meditation. Blends well with: Geranium Pine White Spruce Hemlock Cedarwood Virginia Myrrh (India) Galbanum Frankincense Cypress Clove Leaf Anise Lemon Orange Sweet Cistus Rose Absolute (Morocco) and Benzoin. History: Amyris essential oil serves as an inexpensive alternative to Sandalwood oil. Originally cultivated primarily in Haiti where it was known as 'candle wood' and used as a torch by locals due to the tree's high oil content. The botanical origin of the tree yielding this oil remained obscure until 1886 when striking differences between this and true Sandalwood Mysore were revealed by microscopic examination of the leaves. Features100% Pure Essential Oil Raw Material - Amyris Botanical Name - Amyris Balsamifera Therapeutic Grade Capacity - 10 ml. 100% Pure Therapeutic Grade Amyris 10ml Essential Oil Botanical Name: Amyris balsamifera Comes in 10ml amber glass essential oil bottle. 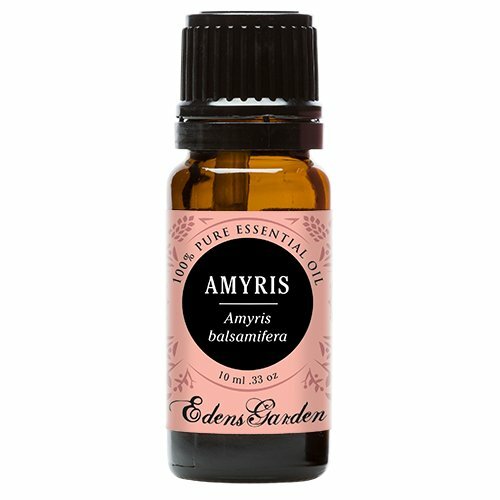 European Dropper Cap included Amyris Essential Oil has a mild woody aroma with a soft vanilla undertone. What sets Healing Solutions Essential Oils apart is superior cultivation of ingredients that are the best in the world. Combined with superior distillation and bottling care process, We GUARANTEE that our oils are aromatically superior and more effective than any other oils - if you disagree we will refund your money! The Leading Aromatherapy Associations (Alliance of International Aromatherapists (AIA), International Aromatherapy and Aromatic Medicine Association, Aromatherapy Trade Council, and others) all state that essential oils should not be taken internally (regardless of purity or organic origin) unless under the guidance of a health care practitioner trained at an appropriate level . As such, all of our oils carry a label warning that the product is NOT FOR INTERNAL USE. Amyris 100% Pure, Undiluted Essential Oil Therapeutic Grade - 10 ml. Great for Aromatherapy! 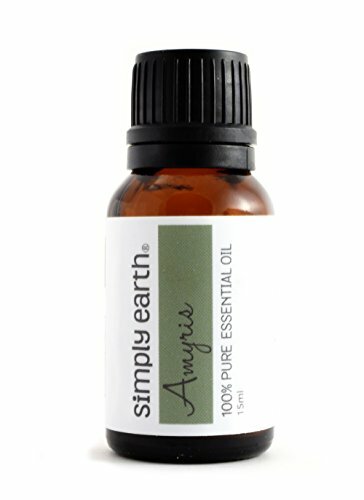 100% Pure Amyris Essential Oil Therapeutic Grade - 10 ml. Aroma: Sweet, warm, vanilla notes with a woody, cedar-like character. Blends Well With: Citronella, Lavender, Oakmoss, Sassafras, other wood oils. 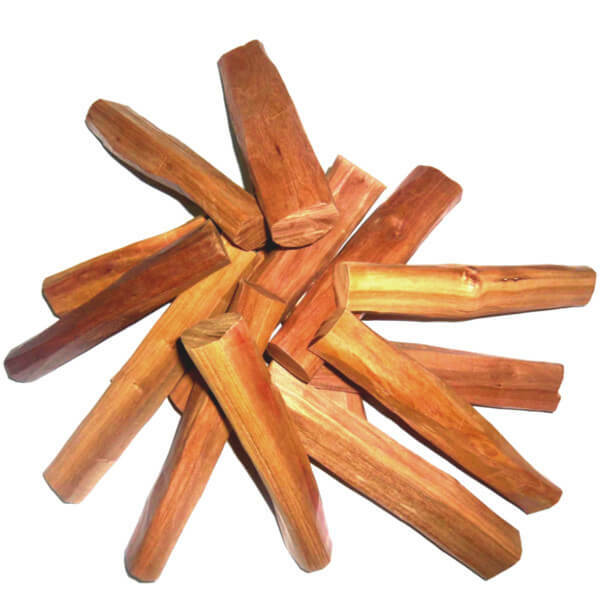 Aromatherapy Uses: This steam distilled essential oil is commonly referred to as West Indian Sandalwood oil; although it can be used as a substitute, it's not a true replacement for Sandalwood. 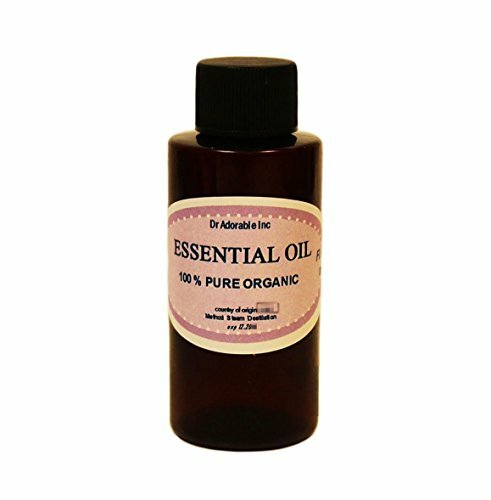 This oil is a fixative in many perfumes and soaps. It can be used to calm nerves and relieve tension.